Established by legislation in 1998, the Maryland Horse Industry Board, housed within the Maryland Department of Agriculture, functions as a commodity board to help develop and promote the state’s horse industry. To understand more about what the board can and cannot do, and how it differs from the Maryland Horse Council, please visit equiery.com. Board members are appointed by the Governor to represent different segments of the horse industry; these segments are outlined in the law authorizing the Board. The Maryland Department of Agriculture and other interested parties can make recommendations to the Governor’s office, but ultimately the appointments are at the Governor’s discretion. James B. Steele has managed the multibreed stallion station Shamrock Farm since 1977. He currently serves as MHIB chairman and president of Maryland Million LTD. He is the past second vice-president of the Maryland Farm Bureau, past president of the Maryland Horse Breeders Association, past chairman of the Maryland Agricultural Commission and the Carroll County Agriculture Commission, past president of the Carroll County Farm Bureau, a former member of the Committee to Review Ag Land Preservation and a former member of the governor’s special commission to study slots and gaming in the state of Maryland. In the mid-1990s, he served on the governor’s special commission that recommended that the state and the Maryland Department of Agriculture formally recognize horses, as well as other nontraditional forms of agriculture such as turf farms and nurseries, as part of Maryland agriculture. Jim is married to Christie and has five sons and four grandchildren. Dr. Amy Burk serves as the coordinator for the undergraduate Equine Studies at the University of Maryland/Animal & Avian Sciences Department. She completed her graduate work in Animal and Poultry Sciences as a Pratt Fellow in Animal Nutrition at Virginia Tech, earning an MS in 1998 and a PhD in 2001. At UMD, she teaches Horse Management and Equine Science. As an Extension Horse Specialist, Amy provides statewide educational leadership and training in the areas of equine nutrition and pasture management. She is the project coordinator for the Equine Rotational Grazing Demonstration Site in Ellicott City. She has received several awards including the Outstanding Educator Award from the Equine Science Society and the Poffenberger Excellence in Teaching and Advising Award from the College of Agriculture and Natural Resources at the University of Maryland. She grew up riding in the Linthicum 4-H Hi-Riders and St. Margaret’s Pony Club, both based in Anne Arundel County. She is married to Rob Burk, executive director of the United States Eventing Association; they have two daughters. 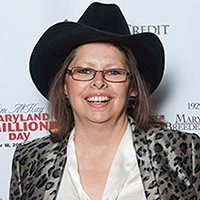 As one of the founders of the Totally Thoroughbred Horse Show at Pimlico, Karin De Francis was able to wed her childhood passion (when she rode at the original Potomac Horse Center) with her adult vocation and avocation of working for and with Maryland Thoroughbreds at the Maryland Jockey Club. In between, she earned a her JD from Georgetown Law School, she served for several years as a Deputy District Attorney in Orange County, CA, before coming home to Maryland. As the daughter of the late Frank J. DeFrancis, former owner of the Maryland Jockey Club (which owns Laurel and Pimlico), a career with MJC was a natural migration, one she continued even after the family sold its ownership stake. Karin has overseen the Marketing, Media, Special Events and Public Relations Departments, and later, as Executive Vice President, the operation, management and growth of the Preakness Stakes. Karin is President of the Board of Directors of the Maryland Horsemen’s Assistance Fund, a member of the Board of Directors of the Baltimore City Police Department’s Signal 13, a member of the board of the Thoroughbred Alliance Show Series and serves on the Laurel Racetrack Impact Fund Committee and Advisory Council of the American Film Institute Silver Theatre and Cultural Center. She now consults for the Maryland Jockey Club. Karen Fulton (MHIB Vice Chair) and her husband Stephen have owned and operated Full Moon Farm LLC at its Finksburg location since 1994. A 80-acre full-service lesson and boarding facility, Full Moon hosts horse shows, schooling days and horse trials. Karen is a member of — USEF, — USEA, USHJA, MCTA and the AQHA. She is a former Level 3 certified instructor from ARIA. Karen has a BS in Animal Science from Purdue University and a MS in Comparative Animal Nutrition from Michigan State. She helped to establish Purdue’s first intercollegiate riding team and participated on the horse judging teams at PU and MSU both as a competitor and coach. Prior to her full-time involvement with the horse industry, she was a research associate with the National Zoological Park for three years and was Baltimore Zoo’s Associate Curator of Mammals for seven years. Karen serves on the MHIB’s Health Advisory Committee. Jay Griswold is a lifelong horseman and fox hunter with a distinguished career in the business world and in community service. Like his late father (Ben Griswold), Jay became an accomplished amateur steeplechase jockey, riding in a record 16 runnings of the Maryland Hunt Cup, finishing second four times, and losing by just a nose at age 43 in 1982. He won the 1996 Hunt Cup as an owner with Hello Hal. A graduate of Princeton, Jay is a former partner in Alex. Brown & Sons, a former senior advisor of its affiliate, Brown Investment Advisory, and former chair of Alex Brown Realty Advisors. He is currently a partner in Black Oak Associates, a Mid-Atlantic real estate investment firm. Jay is Chair Emeritus of the Maryland Historical Society and Chair Emeritus of the Board of Visitors and Governors of Washington College in Chestertown. He and his wife Toni operate Wit’s End Farm in the Green Spring Valley where he continues to own and train steeplechase horses and hunt regularly. Like many of us, Ron MacNab was introduced to horses in his youth and returned to riding later in life. For the past 25 years, Ron has been a horse owner and an active trail rider and is a past president of Trail Riders of Today (TROT), the largest trail riding organization, dedicated to the preservation of existing public and private equestrian trails and the establishment of new trails throughout Maryland and neighboring states. He is chairman of the Maryland Horse Council’s Trails and Greenways Committee, Montgomery County Coordinator for TROT, and a volunteer Mounted Patrol and Trail Ranger with Montgomery County Parks. He served as an appointed member of the Montgomery County Countywide Parks and Recreation Advisory Committee as well as a former TROT representative to the Southeastern Trails Conference. He is also a longtime member of the League of Maryland Horsemen, Maryland’s oldest trail riding organization. He is currently working with state and local officials to maintain and increase the number of multi-use natural surface trails in Maryland, establish GPS mapping for all Maryland horse trails and develop a list of state facilities with overnight camping accommodations for horses. Ron lives in Colesville where he and his wife Janet enjoy retirement with their two Rocky Mountain horses and their two Jack Russell Terriers. As the Maryland Assistant Secretary of Marketing, Animal Industries and Consumer Services, Steve Connelly oversees a wide range of programs, including Marketing and Agribusiness Development, Food Quality Assurance, Animal Health, Weights and Measures, Horse Industry Board, State Board of Veterinary Medical Examiners, and Maryland Agricultural Fair Board. His career includes leadership roles with the U.S. Department of Agriculture Farm Service Agency, Mid-Atlantic Soybean Association, Maryland Agricultural Education Foundation and Maryland Farm Bureau. He earned a degree in Agricultural and Resource Economics from the University of Maryland. Connelly resides in Rising Sun with his wife Valerie, who serves as the executive director of the Maryland Farm Bureau. A graduate of Cornell University & the Atlantic Veterinary College at the University of Prince Edward Island, Mike Odian formerly served as the track veterinarian for the Thistledown Thoroughbred track and the Northfields Park Standardbred track in Ohio before moving to Maryland in 2003, where he and his wife established a practice with a focus on sport horses in all disciplines. “Dr. Mike” is a member of the American Association of Equine Practitioners, the American Veterinary Medical Association and the International Society of Equine Locomotive Pathology. He also breeds and raises Clydesdale and Percheron draft horses and is a former president of the Maryland Draft Horse and Mule Association. The Odians have two children; daughter Michaela competes in dressage. Beverly Raymond was Maryland’s first state inspector of riding and boarding stables and veterinary hospitals for the Maryland Department of Agriculture, from the late 1970s until she retired in 2010. A founding member of the Maryland Horse Council (1985), Beverly successfully wed her vocation and avocation, spearheading public-private partnerships for the betterment of equine welfare, including but not limited to PAWS (the Professional Animal Worker Society). Beverly Raymond’s quiet and subtle influence, and tireless advocacy for the health and welfare of horses, will be felt in the Maryland horse community for generations. It is for this reason Beverly was awarded with the Anne Pumphrey Unsung Hero Memorial Award at the 1999 Maryland Horsemen’s Party and then Maryland Horse Council’s Horse Person of the Year in 2011. With Jim Steele, Eli Solomon is one of the few remaining original MHIB members. As an owner and breeder of Standardbred horses (ENS Stables), Eli has been involved with legislative and regulatory issues, is on the board of Cloverleaf Standardbred Owners Association (CSOA), which represents Standardbreds at Rosecroft Raceway and Ocean Downs, and is on the board of the Maryland Standardbred Breeders Association (MSBA). An engineer who retired from Northrop Grumman Corporation’s Electronic Systems BWI facility, Eli complements his former highly technical career with a deep and abiding interest in all aspects of the Standardbred industry. Kathleen J. P. Tabor, Esquire established her law firm in 2004 with a focus on agricultural and equine businesses, activities, and ownership. In addition to her legal background, Kathleen is a trained mediator and collaborative practitioner. A member of the MD Horse Council, Kathleen currently serves on its Executive Committee, and on the advisory board of the Maryland Fund for Horses, Inc. She is a founding member of the Agriculture Law and Animal Law sections of the Maryland State Bar Association (MSBA). 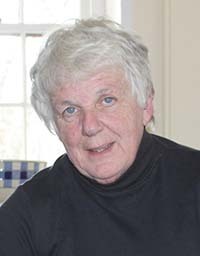 She has authored articles on equine-related legal and dispute resolution issues, authored MHC’s “Guide to County Zoning and Horses” and is co-author of the book, Maryland Equine Law—A Legal Guide to Horse Ownership & Activities. A pleasure rider and driver, Kathleen once held a commercial carriage license for Philadelphia and Baltimore, as well as a pari-mutuel teller’s license with the MD Jockey Club prior to attending law school. Neil Agate is the founder of Four Gates, LLC, a business and technology services firm that works with early-stage companies in Healthcare IT. He is a board member of the British-American Business Association and co-chair of the association’s communications committee. While Neil enjoys all horse activities, he is an avid polo player and has been active with several polo clubs in Montgomery County over the years. In addition to playing the game, he has announced many charity polo matches up and down the East Coast. Originally from England, Neil has lived with his wife Kathy and two daughters in Darnestown for the last 20 years. The following individuals are not appointed but serve at the request of the Board. Susan McQuilkin oversees SMADC’s “So Maryland, So Good” marketing program, which educates consumers on why, how and where to buy local farm products and services. SMADC’s programs provide extensive resources to promote, market and support all Southern Maryland agricultural enterprises including the region’s equine industry. Susan assists with the development of SMADC’s equine outreach including equine conferences, the Southern Maryland Equine Guide and the recently launched Southern Maryland Historic Horse Trail. She also works as SMADC ombudsman to help streamline regulatory and other issues impeding profitability of farm businesses. Susan is involved with horses, and often announces at local horse shows. Hope Birsh spearheads MHIB’s public outreach project HorseLand at the Maryland State Fair. Although she originally came to Maryland to teach riding at McDonogh School, in 1989 she opened Maryland Saddlery in Baltimore County, which now has stores in Crofton and Hockessin, DE. Hope is a past president of the American Equestrian Trade Association and is an MHIB “Touch of Class Award” winner. She owns a farm in the Green Spring Valley Hunt territory, where she lives with her two children, her horses and ponies. A lifelong equestrian and a graduate of Longwood University, Laura J. Lane-Unsworth is the founder the Brave HEART (Heroes Equine Adventure & Riding Therapy) Program. Laura and her husband, a Major in the Maryland Army National Guard, run the nonprofit enterprise from their Larkspur Lane Farm near Hagerstown, Maryland. Laura helped organize the Military Riding Showcase and Horses Healing Maryland’s Military (HHMM) at the Maryland State Fair, a coalition of Maryland stables offering horsemanship and therapeutic programs to veterans and their families. During his six-year tenure on the MD Racing Commission, Bruce Quade is credited with brokering the “Ten-Year Deal” that brought together horsemen, tracks and breeders to restore the industry to its current renaissance. He also developed a program for the revival of the horse breeding program and instituted medication reform programs for the state. For those efforts, the Maryland Racing Media Association presented him with the 2015 Newsmaker Award and in 2016 the Maryland Horse Breeders’ Association honored him with the Federico Tesio Award for making significant contributions to the industry. Quade is working with the Horse Board on the Maryland Horse Park System project, specifically helping to coordinate activities with improvements to the equestrian facilities at Fair Hill. 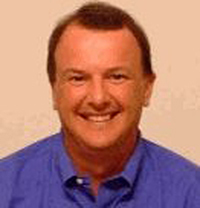 Hired as Executive Director of Maryland Sports in 2008, in early 2014, Terrance (“Terry”) Hasseltine was asked to take on more responsibilities with the Maryland Stadium Authority as Vice President of Marketing and Communication. Prior to coming to Maryland, he was deputy director of the Kentucky Sports Authority (KSA), promoting the state as a sports travel destination, and was instrumental in bringing the 2008 Ryder Cup and the 2010 AllTech FEI World Equestrian Games to Kentucky. During his tenure as Chairman of the National Association of Sports Commissions, the Association saw significant growth in membership, revenues and attendance at their annual Symposium. He served on the NASC Board of Directors for a little over 10 years, five of those on the Executive Committee. He also serves on the Maryland Tourism Coalition Board of Directors, U.S. Sports Congress Advisory Committee and in an advisory role with the Maryland Horse Industry Board. Since arriving in Maryland, Terry has been instrumental in leading various event-support opportunities for the state related to the FIFA World Cup, ICF Canoe Slalom World championships, NCAA Men’s Lacrosse National Championships, World Football Challenge (Chelsea v. AC Milan), Dew Tour, CONCACAF Gold Cup, Iron Man Maryland and many other events. His efforts led to a launch of a state-of-the art web site with a searchable sports facility directory (www.MarylandSports.us). Currently Maryland Sports is expanding its web efforts, trade show presence, marketing and attention to TEAM Maryland (www.TEAMMaryland.us). Crystal Brumme Pickett is the publisher and owner of The Equiery, has been a member of the Maryland Horse Council Executive Committee & Board of Directors since 1991, serving 15 years as secretary, and has actively represented MHC on legislative and regulatory issues for 25 years, including the legislation that created and funded MHIB. A member of the Maryland Steeplechase Association since 1996, Crystal retired as secretary after 20 years, and is now serving as the treasurer. She is currently serving as honorary secretary and Master of Foxhounds for the Howard County-Iron Bridge Hounds. Crystal has served on the MDA Soil Conservation and Pasture Management Committee, the Howard County Farm Bureau Board of Directors, the Maryland FFA Foundation, Inc. Board of Trustees. As a member of LEAD [Leadership, Education, Agriculture, Development] Maryland Class II, Crystal was the first horse person in any LEAD program in the nation. Crystal is the 2010 recipient of the American Horse Council’s Van Ness Award, given in recognition to an individual dedicated to the improvement of the horse industry at the state level. 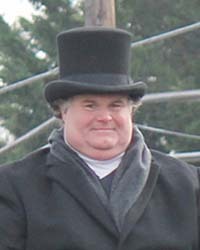 Keith Wills is a former board member of the Maryland Horse Industry Board. A member of the Maryland Horse Council for over 20 years, Keith has actively served as treasurer and a Director-at-Large representing business. An account representative and loan officer for Mid Atlantic Farm Credit, Keith helped to introduce Farm Credit to the horse industry in the mid-90s, after horses become officially recognized as part of Maryland’s ag community. Keith continues to serve on numerous local, state, regional and national boards and chairs the Equine Committee for the National Farm Bureau. Ross Peddicord became Executive Director of MHIB in 2011. He has spent most of his life involved with horses, either professionally or for fun, showing, foxhunting, and breeding Thoroughbreds, and for a brief period he rode amateur steeplechase races. He graduated from McDonogh School and Washington College. He has had a varied career in journalism, marketing, sales, public relations and fundraising at a number of Maryland institutions such as the Maryland Jockey Club tracks, the Baltimore Sun, Mount St. Mary’s University and Maryland Life Magazine, where he was co-publisher from 2004-2010. He serves as Immediate Past Chair of the Maryland Tourism Coalition, Executive Directors Committee of the Maryland Office of Tourism Development, and on the board of the Baltimore Office of Promotion & The Arts. Ellen James is a lifelong horsewoman in both English and Western disciplines and is a graduate of Montana State University. She also worked for nine years as a veterinary technician. She inspects horse stables for MHIB and veterinary hospitals and clinics for the State Vet Board. She lives in northern Harford County. Pegeen (“Peggy”) Morgan has been an Animal Health Inspector with MDA for the past 30 years, and has owned horses for approximately 35 years and has a small family farm with her husband Chris and two children in Upper Marlboro. Many people may have met Peggy at the Maryland Department of Agriculture’s Open House, where she has brought animals, including a miniature horse and a draft horse, for the past 20 years. She also inspects animal health papers at regional agricultural fairs and shows. Appointed by Governor Larry Hogan to serve as Secretary of Agriculture, Joseph Bartenfelder grew up on a farm and has been a full-time farmer and small businessman. His family lives on the home farm in Caroline County and also owns and operates two other farms in Dorchester County. The Bartenfelder family sells produce wholesale and at the Baltimore City Farmers’ Market, raises poultry, and grows wheat, beans, and corn. Tonya Kendrick has worked at the MDA for 18 years. Tonya handles the stable licensing for the MHIB and works for the State Vet Board. Established ten years ago, the MHIB Health Advisory Committee advises the State Vet and the Secretary of Agriculture; the committee serves as a citizens advisory to help the MDA be more responsive to the needs of the equestrian community on health issues that could have a devastating impact to the horse industry. Industry representatives serve at the invitation of MDA/MIHB. Dr. Kathleen Anderson is the President of the American Association of Equine Practitioners and operates the Equine Veterinary Care facility at the Fair Hill Training Center in Fair Hill, MD. A native of the Eastern Shore, Dr. Elizabeth (Didi) Callahan received her DVM from the Virginia-Maryland Regional College of Veterinary Medicine in 1985, joining Veterinary Medical Center in Easton. She is board certified in the American Board of Veterinary Practitioners, Equine Specialty and the American College of Theriogenologists. Her practice interests include reproduction in all species, equine nutrition, and acupuncture. She also breeds warmbloods and competes her homebreds at the FEI level in eventing. A founding member of this committee, Dr. Michael Erskine is the director of Virginia Tech’s Marion duPont Scott Equine Medical Center. A graduate of the Virginia-Maryland Regional College of Veterinary Medicine, Mike became the first practicing equine veterinarian in Maryland to be board certified by the American Board of Veterinary Practitioners (ABVP). He practices with Damascus Equine Associates in Mount Airy, MD, a group of private ambulatory equine practitioners who serve a wide variety of clients and their horses in Maryland and surrounding areas. Dr. Erskine chairs the Maryland Veterinary Foundation. A member of the Maryland Veterinary Medical Association and the Maryland Horse Council and diplomate of the American Board of Veterinary Practitioners, he is also a past president of all three organizations. Dr. Erskine has special interest in sport and pleasure horses. 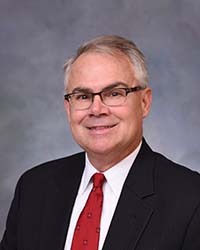 J. Michael Hopkins has been Executive Director of the Maryland Racing Commission since 2003 and has worked for the Commission in various capacities since 1984. He is responsible for all horse racing programs that are regulated by the Maryland Racing Commission at our state’s Thoroughbred, Standardbred and Steeplechase tracks, including the Commission’s medication rules and regulations. Mike lives at his family’s Elberton Hill Farm in Darlington. A 1978 University of Georgia College of Veterinary Medicine, Dr. Peter Radue joined Dr. Roger Scullin to form Damascus Equine Associates. Dr. Radue is the current President of the Maryland Association of Equine Practitioners (MAEP) and serves on the board of directors for the Maryland Horse Council. 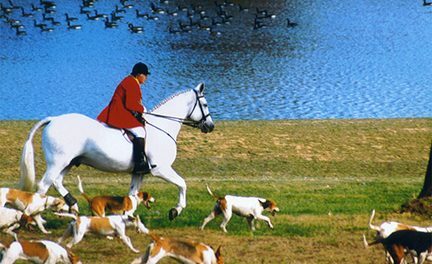 His horse interests have included raising and showing Morgan horses, eventing and foxhunting. His professional interests include lameness diagnosis and treatment with a special interest in ultrasound imaging. He lives in Howard County with his wife Nanette and three children. Dr. Marla Stevens is a field veterinarian covering all regions of the state. She manages the statewide CEM and fairs/shows programs for the Animal Health Section. In addition, she carries out all equine reportable disease programs and is a liaison with USDA on these matters. She graduated from the University of Pennsylvania’s School of Veterinary Medicine and prior to coming to MDA in 2003, she was a private equine veterinary practitioner. Dr. Michael Radebaugh has been a field veterinarian for MDA since 2011, responsible for regional and statewide field, regulatory and emergency readiness as well as response animal health operations. He has more than 41 years in many aspects of the veterinary field, including 34 years as a large animal veterinarian. Dr. Mark Remick is veterinarian in charge of the Maryland-Virginia-Delaware division of the U.S. Animal and Plant Health Inspection Service (APHIS). His office is located in Richmond, Virginia and is part of the U.S. Department of Agriculture. Dr. Remick formerly worked as head state veterinarian for the Michigan Department of Agriculture.